Amanda Smith: Outgoing Fan Mail! 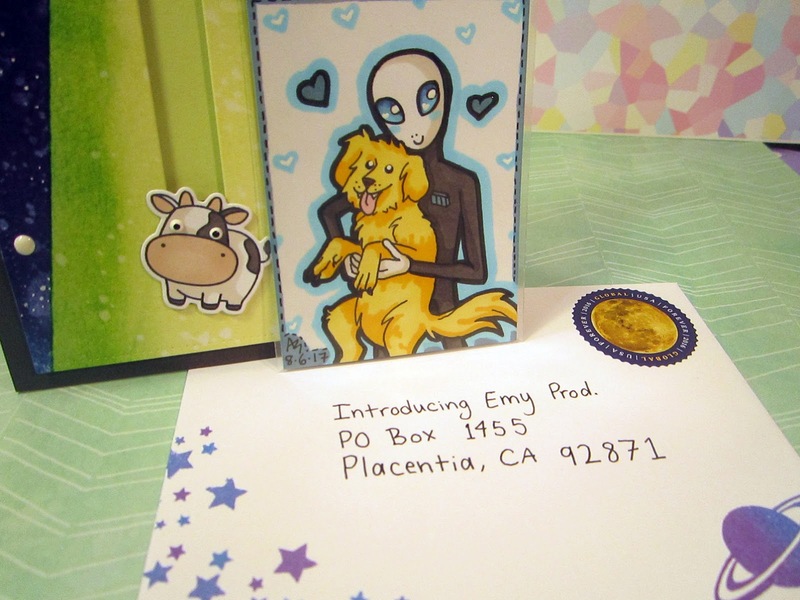 Here's some fan mail that I send out recently to Emy, the author of a fantastic webcomic called Trying Human. 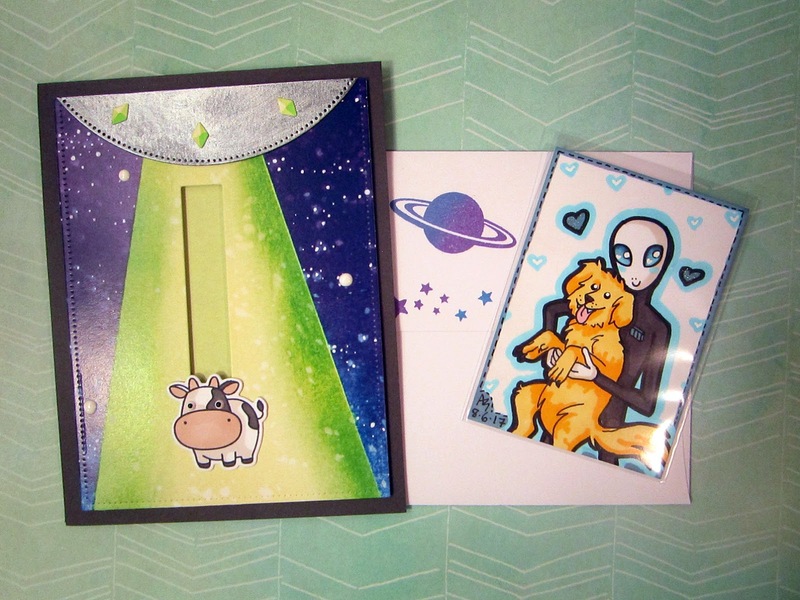 When I got the idea for a UFO abduction slider card, I knew just who to send it to. The little cow is on a track, and if you tilt the card or push him, he'll slide up and down the tractor beam. I created the spacey background panel on the card using Distress inks, and then I scanned and laser printed copies to die cut from, as this was my first slider card and I was afraid to mess up the original work. I even embellished the envelope and picked out a special stamp to match the space theme. 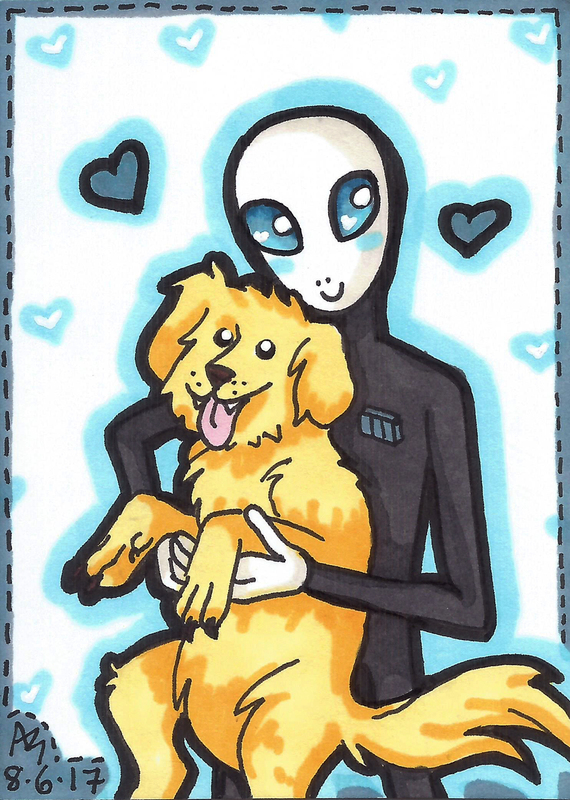 The ATC features fanart of two of her characters, Hue and Dog. Just before I sent it out, I added glitter to the two big hearts in the background with a Wink of Stella pen. 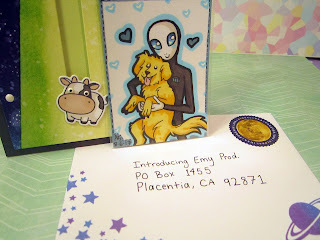 Emy was kind enough to send me a reply letter that included a fantastic original drawing, as well!